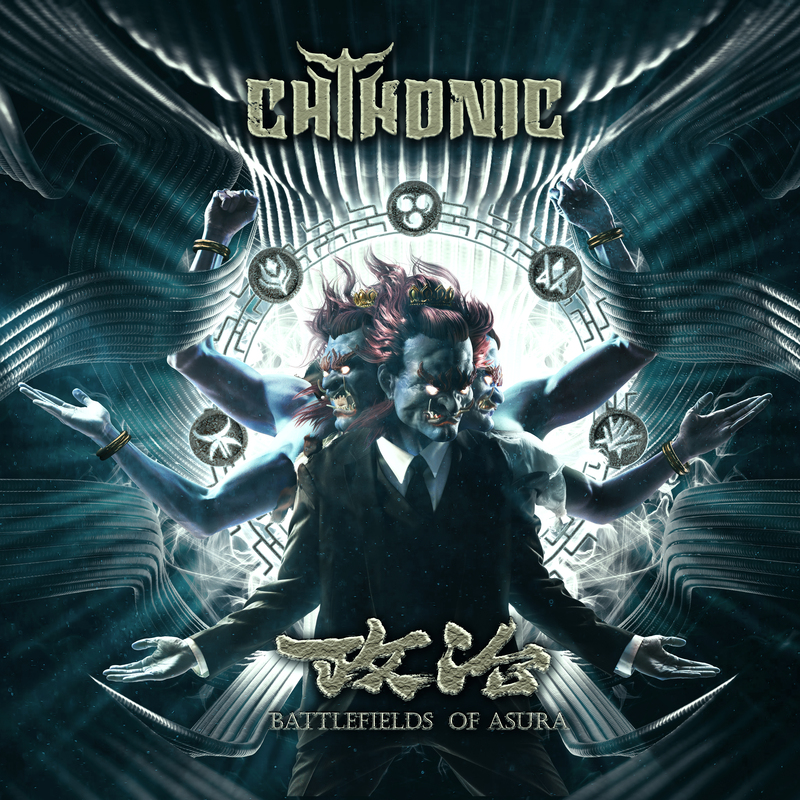 Chthonic turn out a shockingly frustrating album with Battlefields of Asura. They show their strengths are as honed as ever, but don’t capitalize on the great potential they show elsewhere. I love Chthonic. They are one of my favorite folk metal bands ever. Their use of Taiwanese heritage, folklore, religion, and history has always given them an edge over their contemporaries, as they weave tall tales of their region into pummeling, huge metal benchmarks, by which I measure other bands. Their use of orchestral music and prominent traditional Chinese stringed instrument, the erhu, gives the band a leg up as well. I’ve waited five years for a proper studio album continuation since their absolutely stellar album, Bù-Tik. After listening to Battlefields of Asura multiple times, I can say that as a fan, I like it a lot, but I still wish the quintet had given me more to gush over. Don’t get me wrong, for as much as I love a given band, I always do my best to keep a level head and approach any and all material with an open mind, as unbiased as humanly possible. But you can’t win them all. I think I expected more after learning the album’s concept, which has to do with the perilous journeys of deities throughout Taiwan. Around a half of this album left me nearly speechless from heavenward quality, but the rest didn’t give me a whole lot to say about it. Let’s get into it. Much like the climax of an epic battle, this album’s back half seems to house much of its rigor. The prettiest, most impressive moments are here, like “One Thousand Eyes”, which has chanted vocals and folk accouterments that give it a sound that belongs in a big budget fantasy movie trailer. Even a seemingly simple interlude like “Masked Faith” has a bluesy guitar line bookending a grand, stately percussive section and is worthy of an attentive listen. Same with the intro track, too. For as powerful as Chthonic can be, it’s a bit surprising we didn’t see more songs like “Carved in Bloodstone” which is basically what would happen if Turisas was from Taiwan. The track’s assembly of huge choirs, soaring melodies, orchestral elements, and heavy guitars, all remind me of The Varangian Way, but it’s kept Chthonic as hell with Freddy Lim’s vocals and folk elements. It’s a very short-lived moment in the album – this track being the shortest non-instrumental or interlude in the tracklist – and I wish I had more of it. The single, “Millennia’s Faith Undone”, is a powerhouse of vocal ferocity and shining synths that combines the best of what the band has been and could be if they pushed themselves more like they did here. And that Denise Ho (HOCC) feature? Chilling. To go back to the first half of the record, this is where Chthonic call back to their darker past, crafting material more in line with their earlier blackened records, like Seediq Bale and Mirror of Retribution, but with way less of the extravagant fun. Those albums had a cheap charm to them, with tinny keyboard and arrangements that would make a sweet addition to an older Castlevania game. Here, we get “The Silent One’s Torch”, which has a pretty straightforward approach to their more modern symphonic metal sound, with some of the stronger folk elements on the album. I struggle to think of much that’s memorable about “Flames Upon the Weeping Wind” and “A Crimson Sky’s Command”. Even the heaviness of those two tracks isn’t particularly compelling, since it doesn’t utilize Lim’s voice for standout moments like in “Supreme Pain for the Tyrant” or “Rage of My Sword” from Bù-Tik. These songs feel like lost opportunities, or just Chthonic playing out the clock to get to an album’s worth of songs. It’s a little disappointing. Chthonic scaled up while not necessarily scaling out, and there is a difference. While the band retains their strengths, their latest additions and experiments only gave them an edge in range and doesn’t expand their sound much. Still, Battlefields of Asura is a worthy addition to the band’s catalog for fans, falling more in line with their mid-career material in terms of enjoyment and, occasionally, sound. There’s a lot to like here, but I hope they will further revamp their sound next time. Next PostAphex Twin - "Collapse"